SN-6 Eb Sopranino (F#) Introduced: 1972. Discontinued: appx. 1980. S-6 Straight Bb Soprano Introduced: 1968. Discontinued: appx. 1990. A-6 Eb Alto Introduced: August 1970. Discontinued: appx. 1980. T-6 Bb Tenor Introduced: appx. 1970. Discontinued: appx. 1980. B-6 Eb Baritone (low A) Introduced: March 1967. Discontinued: appx. 1990. Available Finishes: Silver plate, lacquer, lacquer with nickel-plated keywork. The SN-600 vs. SN-6 confused the heck outta me. Let me talk through it. The really, really easy way to tell if you have an A-5 or T-5 pro model, rather than an A-4 or a T-4 “intermediate” model, is to see if you have an altissimo F#. Altissimo F# = 5 Series. So, one might conclude that the 6 Series, a professional line, all have altissimo F# keys. They don’t. The B-6 baritone doesn’t. “Well,” you could say, “Baritones generally don’t have altissimo F#. Bari players don’t use that key much and the bari isn’t very common, anyway. Most manufacturers use their older-style horns until they get lotsa orders for a new model bari.” That’s a good point, but the B-6 is Yani’s first bari. I could also argue that the market for sopraninos is even smaller than the market for baris. That’s easily seen by just looking at my stash of Yani bari and sopranino pics. I have probably 5 to 10 times more baris than sopraninos. So, let’s look at some documentation. Wrapping up the model name and introduction date stuff, I want to mention that I couldn’t find a release date for the T-6 tenor. My opinion is that it was probably released around the same time as the alto, give or take a few months. You’ll notice, in the above pics, I didn’t include an A-6, but the A-600, instead. There’s a reason for that: I have yet to find halfway decent photos of a horn that’s actually stamped “A-6.” Until I actually find pics, the A-600 is close enough. This horn is probably an A-6, but the serial number is close enough to the 800/880 series that I can’t be sure unless it had the “A-6” stamp by the serial number and I can’t see the serial number. I’ve seen a number of people selling horns that look like this. When people are questioned about it, they say that they looked up the serial number and “it fits” with the A-6. They don’t have a stamp by the serial number that says “A-6.” They just assume it’s a 6. Which is fine and dandy until you see the A-4, which was stenciled as the “Dorado 500,” amongst other names. The A-4 was produced until at least 1975, and I think it could have been produced all the way up to the introduction of the A-800/A-80, which was between 1977 and 1980, depending on your source material. Here’s something else: the A-6s I see being sold don’t have an altissimo F# key. The T-6 has an altissimo F#. The older pro model, the A-5, has an altissimo F#. Even stencils of these have the altissimo F#. I’d assume that the real A-6 also has an altissimo F# key. If you’ve got an A-6 with “A-6” stamped by the serial number, drop me a line! As mentioned above, the SN-600 sopranino has a keyed range to altissimo E. This is interesting from two perspectives: the reduced keyed range might contribute to the the fact that these horns are considered to have the best intonation of any sopranino available until that point. Second, the range to altissimo E is interesting because earlier sopraninos — and much earlier baritones and basses, for that matter — had a range to altissimo Eb. In other words, the right-hand speaker key for the altissimo E (and higher) wasn’t there on these vintage horns. It is on the Yani. Ed pointed out, in his original article, that the S-6 is a really good copy of a Selmer Mark VI. Maybe even a better horn than the Mark VI. While I can’t dispute that one way or another because I haven’t played a Yani S-6, I have played three different Yani-made Vito VSP baritones. These horns look almost exactly like a low A Mark VI horn, but all three were awful horns: poor response, poor tone. That’s one of the reasons I’ve kept away from writing about Yani for a long while: no need for me to write about horns I don’t like! 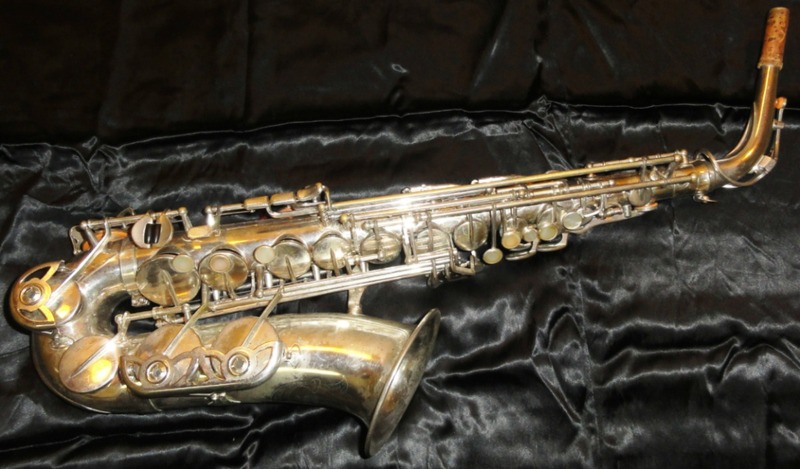 In 1972, Yanagisawa prototyped a sterling silver alto. This is considered by the SAXess website — and I think they’re correct to do so — as the first 7 Series instrument. However, sterling silver horns weren’t sold until sometime between 1995 and 1999, with the introduction of the 9937 models. The 9937 was then replaced with the WO37 models in 2014/5. Saxpics.com. I actually think that most of these are mis-categorized (my fault) and are really 800s or 880s. SoundFuga. Actually a sales ‘site, but they have a a lot of older Yanis — and they have good pics. Wind Bros. Another sales ‘site, but they have a a lot of older Yanis — and they have good pics. sn 08775442 (1977) lacquer S-6 Vito Stencil from Doctorsax.biz (w/sound samples). sn 11741954 (1974) lacquer S-6 from Zohndell Johnson @ flickr. Another Lacquer S-6 from musicinstruments @ flickr. 1970s Lacquer S-6 from John Clark @ flickr. sn 8752900 (1975) lacquer S-6 Whitehall stencil from GetASax.com (custom neck). sn 05791390 (1979) lacquer T-6 from kannegiselher @ flickr. sn 7764190 (July 1976) lacquer S-6 from IanSax @ SOTW. sn 01785840 (January 1978) lacquer S-6 (Vito Stencil) from NewEnglandWaterBlog @ Picasa.